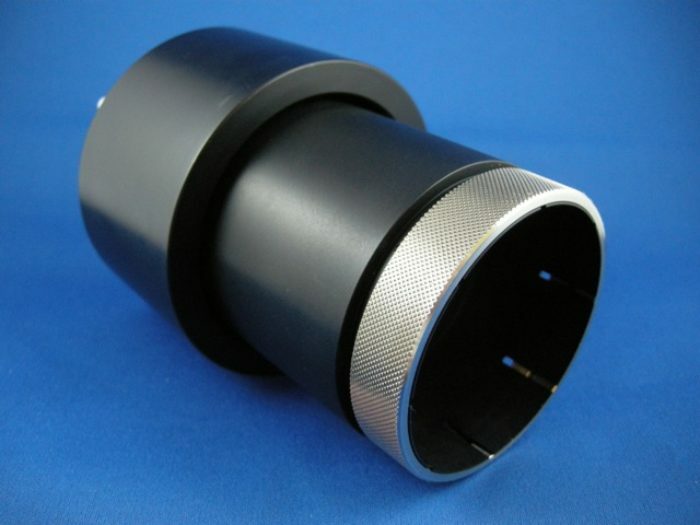 Adjustable lens mount for use in 4” lens holder. When projecting shrunken or off-axis film image material, the position of the projection lens has to be realigned with the centre of the image on the film. A commonly used practice is the use of eccentric lens sleeves. These can then be turned in order to try and get the optical axis aligned with the centre of the film image. A big drawback of this method becomes now apparent: If a slightly sideways correction would be required, the turning of the (inner) sleeve also moves the optical axis in a vertical direction, thereby introducing another error. Any desired correction always introduces an aberration in an area perpendicular to the required correction. This system is therefore inadequate and makes a good lens alignment practically impossible. Another unpleasant by-product of the eccentric sleeve idea is the damage that the small fixation screws, that keep the lens body in place, inflict on the outer shell of the lens. Also, if it would be required to move the lens body somewhat forward or backwards in the holder, the fixating screws are not easily accessible between the inner and outer sleeve! Reasons enough to come up with an elegant solution. 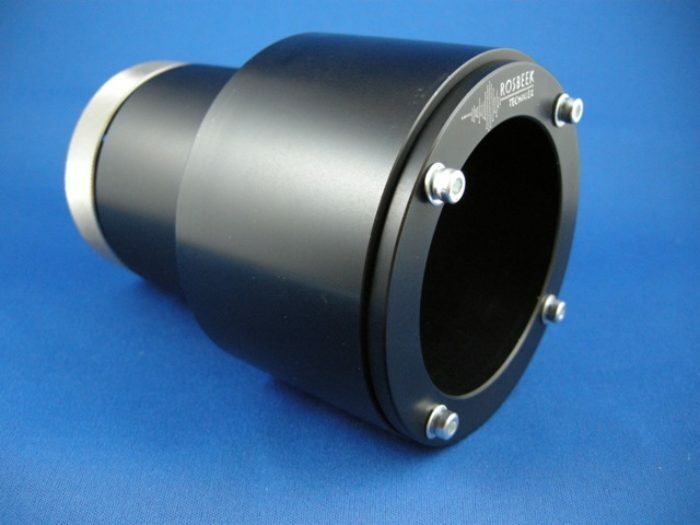 Rosbeek Techniek has developed a new and superior 4” adjustable lens mount that fully eliminates all these problems and shortcomings. Now the lens itself locks into position by means of a circular clamping fixation . No damage can occur here! 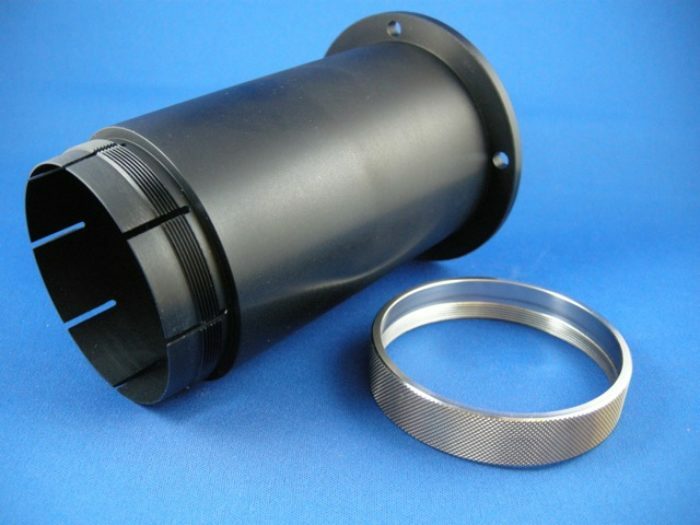 In addition hereto, the lens body can easily be shifted forwards or backwards within the inner sleeve with the frontal lock ring ready for immediate fixation. On the front there are four screws which connect this inner holder with the outer sleeve. By slightly loosening these four fixating screws the inner holder, with the lens, can be shifted precisely into the required position after which the four screws are tightened. The maximum off-axis correction in any direction is 2 mm .